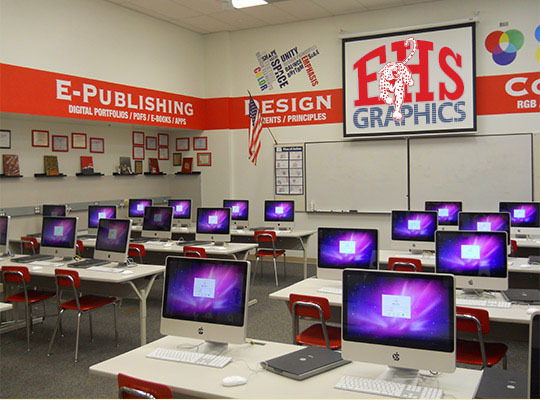 East High Graphics provides a comprehensive understanding of digital design technologies and major printing processes. The primary purpose of the Graphics Communication Pathway is to prepare the student to become smart print buyers and develop computer skills that can be translated into their chosen carriers. Please explore our site to learn more about East High Graphics, course offerings, and SkillsUSA.